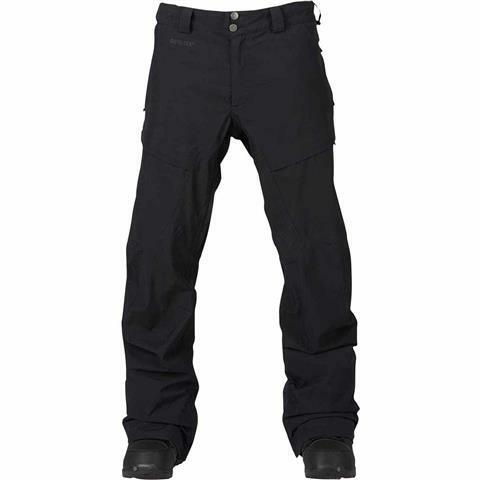 From Burton: Tough as nails and fully taped, the Burton [ak] GORE-TEX® 2L Swash Pant features bomber waterproofing and breathability thanks to GORE-TEX® 2L fabric. 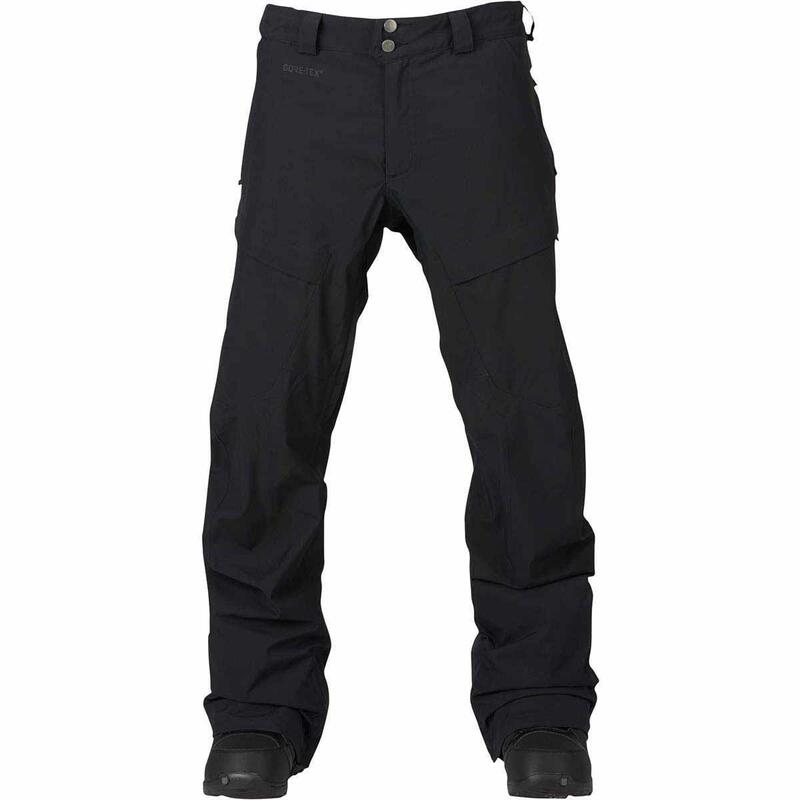 Built for those who operate at a higher level, it also features a performance oriented articulated fit and Test-I-Cool venting, which zips open knee to knee, for maximum cooling. A bluesign® approved GORE-TEX® fabric provides peace of mind for riders who strive to support products that improve environmental and worker health and safety. 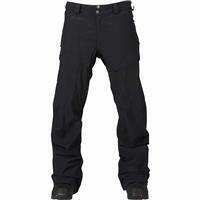 The cargo pocket array features a tool sleeve in the right hand pocket. Great pants. Waterproof, breathable articulated fit. I wear these doing ski patrol in all conditions. They are bombproof! Zip vents for extra warm days or traverses.